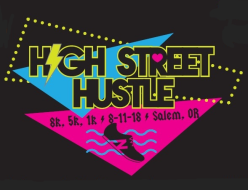 Run, walk or race on Salem streets in the 4th Annual High Street Hustle 8k run, 5k run/walk, Kids 1k. Celebrate after with local food and beer, dancing to the 80’s and a hilarious costume contest. Register to participate or volunteer or come out and cheer! Proceeds benefit heart disease prevention, locally.